Dr. Richard Asarch, MD is the head of the Asarch Center for Dermatology, Laser & Mohs Surgery in Englewood, CO, its accompanying state-of-the-art DERMAspa, and is an Associate Clinical Professor for the Department of Dermatology at the University of Colorado Health Sciences Center. Dr. Asarch introduced Mohs micrographic surgery, the procedure that has the highest cure rate for all skin cancers, to the State of Colorado in 1977 after he had studied with Dr. Frederic Mohs in Madison, Wisconsin. In 1983, Dr. Asarch was the first doctor in Colorado to incorporate laser treatments for skin issue correction. 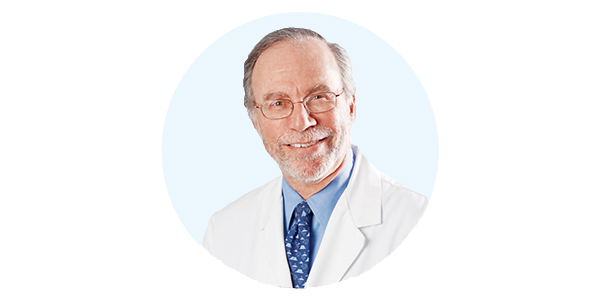 Dr. Asarch has spent 35 years practicing dermatology, evaluating and adopting the latest advances in the field. His experience and continued dedication to skin wellness led him to create a comprehensive line of skin care products to meet the needs of individual skin types. The DERMAspaRx line is continually evolving and is backed by years of research and proven scientific studies. An innovator in skin health, Dr. Asarch published his first book, “Turn Back Your Face Years” after studying the aging process of patients’ skin over decades. His theories on how skin ages and how that process could be remedied include dietary aspects he has addressed in his second book, “Beautiful Skin Diet” -recipes with ingredients that promote healthier skin. These two pieces, topical skin care and diet, are two facets of what Dr. Asarch calls the four spheres in a complete skin care regime. The other two spheres are prevention and procedures. He practices his four-sphere theory out of his Dermatology offices in Denver, CO where he also opened the first medical spa in the state, DERMAspa. Dr. Asarch earned his undergrad and medical school degrees at the University of Iowa. After he completed his internship at Good Samaritan Hospital in Oregon, he served as a General Medical Officer at McChord Air Force Base in Tacoma, Washington. He studied for a year in the Department of Otolaryngology and Maxillofacial Surgery at the University of Iowa followed by another year of general surgery residency at the same institution. In addition to his private practice, he is currently an Associate Clinical Professor of Dermatology at the University of Colorado School of Medicine in the Department of Dermatology and is also a member of the American College of Mohs Surgery. Dr. Asarch set up his dermatology and medical DERMAspa practices across the hall from each other, to give patients instant access when medical and cosmetic dermatological issues intertwine. Dr. Asarch is married and has four sons and one daughter. If you are interested in a consultation with Dr. Richard Asarch, please contact us today at 303-761-7797 to schedule at your nearest location.